Councillor Kathy Rice has attended the 7th World Health Organisation’s Alliance for Healthy Cities Global Conference in South Korea. She presented a paper on the Dementia Friendly Kiama Project, and come back with an award for our Best Practice in Addressing the Social Determinants of Health. 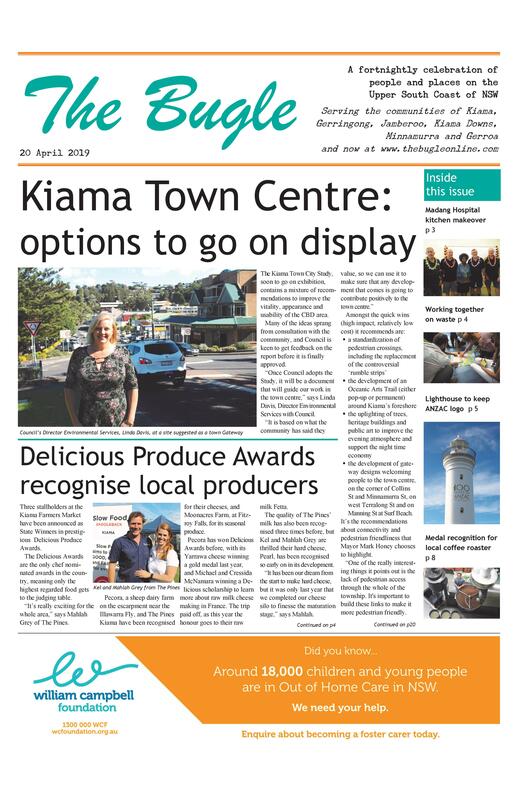 As reported previously in The Bugle, the Dementia Friendly Kiama Project is a partnership project between Kiama Council, University of Wollongong, Alzheimer’s Australia and the Kiama community. Funding has been secured to continue the project into the next phase, moving from a Dementia Friendly Community to a Dementia Enabling Community. Emeritus Mayor Sandra McCarthy also attended the conference in her role as a member of the Alliance for Healthy Cities Steering committee and as a rep of Healthy Cities Illawarra. “The presentation of the award before 500 international delegates has extended the worldwide recognition of the Dementia Friendly Kiama Project,” says Councillor Rice.